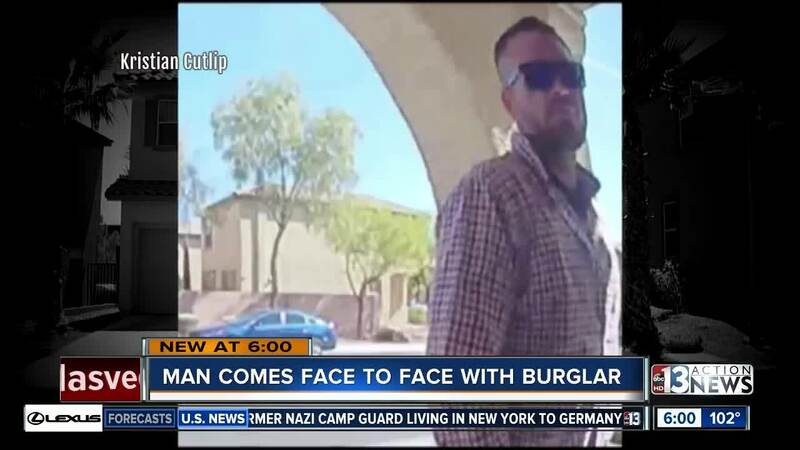 Police need your help finding a man who broke into a home near Desert Inn and Durango Monday morning. A Las Vegas family is shaken up after a man broke into their home in the middle of morning before getting caught red-handed and then escaping. They say their Ring doorbell captured a man knocking on the door around 9:30 am Monday, then leaving and coming back again. By then, Willy Cutlip was coming home from the gym and at first thought the man was a neighbor who was moving things, but then he saw the man loading stolen goods from his home into his car. He says when he confronted the man about it, he dropped everything and took off. But he still got away with laptops, and some sentimental jewelry. But he's also shaken their sense of security. "It's kind of those moments that you think you're secure, but you're not," says Kristian Cutlip. "Our closet was ripped apart, our bathroom was ripped apart and just seeing the things he was touching that can never be cleaned enough it is really invasive." Their surveillance pictures were also turned over to police, who are investigating the case. And Willy is also offering a free tattoo at his tattoo shop to anyone with information leading to the man's capture.